We welcome our brand new Millhouse product! Oat flakes with dark chocolate tiles. 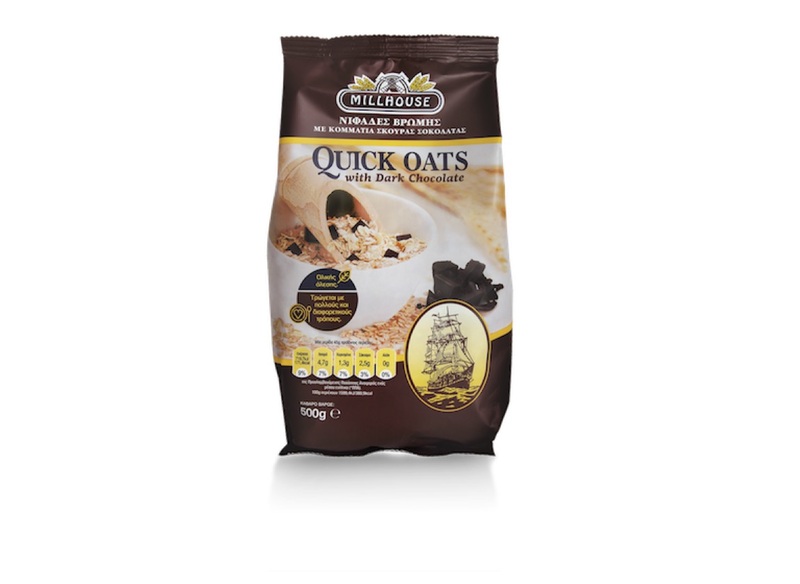 The power of oat flakes with its beneficial properties for health, meets the fantastic taste of dark chocolate to create a complete breakfast. It can be combined both with yoghurt and milk. For every hour of the day, an exceptionaly healthy option!